My writing experience this year has been quite different from past years and I hope my reflections on it will not be too disjointed. In contrast to ten years of immersing myself in my family history, combining the known facts with fiction and producing ten novels, this year I have focussed on the life of an 80 year old man I would call a living legend. Bill, a man I had met a couple of times, and heard speak about his work with underprivileged children, contacted me late last year and asked if I would be interested in writing his life story. He and his family wanted to have in print his own journey from a childhood in Boy’s Homes, adolescence on the streets of Sydney, through alcoholism, workaholism, conversion to Christianity, and retirement spent establishing a foundation and successful work in helping children he so deeply identifies with. Bill’s desire is that this book will be a guide to freedom and faith for those who struggle with the effects of deprivation, rejection and abuse in their early lives. He also wants it to be a helpful blueprint for those who are attempting to minister to and support neglected, abused and homeless children. No small or simple task! After prayer and deliberation I agreed to do this and while it has been a privilege it has also been an amazing challenge. As Bill and his wife both struggle with failing health we have not been able to progress quickly and we have all had to trust the grace of God for the completion of this work, which is still a way off. Apart from the practical challenges of such an undertaking, this has been for me a huge learning curve in writing style. I would call what I’m doing, ghost writing Bill’s memoirs. So while telling his story, in his words, I’m attempting to help him structure and explore deeply his experience, so that readers will best understand not only what he has experienced and learned, but what has shaped him and led him to be the wonderful human being that he has become, and what God has been able to accomplish in and through him. While my work with Bill has taken much of my allotted writing time, I have also, through Book Whispers, re-edited and re-released one of my earlier novels. 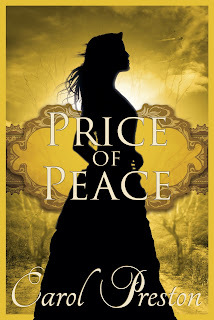 Price of Peace was my third novel, the last of my Oakes Family Saga, following Suzannah’s Gold and Rebecca’s Dream, which were re-released a few years ago. This was a new and quite different process of publication for me and so also involved a learning curve. It was interesting to go back to my earlier writing and see how much I’ve learned about writing and presentation. Editing one’s own work is always eye-opening, challenging and somewhat humbling, although it’s been satisfying to make adjustments to an earlier work and now have it available in better form. Furthermore, there continues to be for me an internal debate about the future. Will I attempt to write another novel? Can I bear to go through the process of publication again – always so daunting. Do I want to write more fiction or should I think about non-fiction? On our recent holiday in Western Australia I was tempted to have a go at writing comedy. It was our first holiday in a motor home – one we hired for three weeks as it seemed the best way to travel to the areas we wanted to explore in that vast state. This meant overnight stays and sometimes two or three days in caravan parks. As much as I loved our visits to National Parks, beautiful coastline areas, the gorges and our search for wild flowers, I must admit that I was as taken with the comedic antics we witnessed in these caravan parks. The arrivals and departures of couples, setting up and packing up of not only the van or motor home, but so many gadgets, appliances, specially made fixtures to ensure a home away from home experience for the travellers, was not only an education for my husband and I, but provided much unexpected entertainment as we ate our breakfast or dinner. Early mornings seemed to be taken up with more cleaning for the men, perhaps meeting up with other men at the ‘dump site’ with their jerry cans which were also of many and varied sizes and shapes, while women headed off to the laundry with huge baskets of sheets, towels and dirty clothes. After all this seemingly exhausting activity I must admit I wondered how much energy or time most of these people had for sightseeing or enjoying the local area. It appeared as if the social life and community of the caravan park was often sufficient enjoyment and involvement for them. That said, I must acknowledge that we have numerous dear friends who have caravans and love this kind of travelling, and if it makes their retirement happy and fulfilled, then good for them, I say. No doubt we provided a bit of entertainment for some of these experienced caravaners when we forgot to wind in our awning one evening and drove towards the exit with seven foot of waving canvas until we heard an almighty bang and looked back to see our awning in pieces on the road. Please note the ‘before’ photo. Clearly two and half weeks was not sufficient for us to become proficient caravaners. Those who travel regularly in this manner would have many a humorous story to tell and I’m sure someone with skills for recreating these images in words, could write a really funny book. For us it was experiment in holiday style and while we loved exploring Western Australia, we did decide that we’d go back to our usual way of travelling; a good four wheel drive vehicle and cabins or motels each night, where we can spread out in a decent sized bed, have a fresh set of sheets and towels each day, and leave what we’ve deposited in the bathroom behind. So my writing experience and reflections have been varied and interesting this year and apart from continuing with Bill’s life story I’m not sure what next year holds, but I am open to what God brings across my path and wants to teach me as my journey continues. I’d love to hear what other writers have been up to. Any changes in direction, new challenges, inspirations? 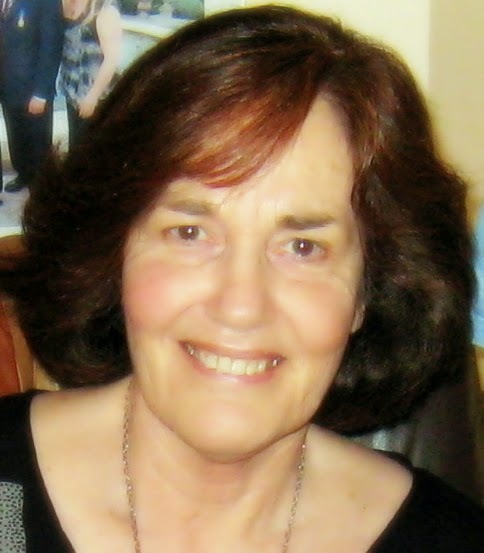 Carol writes historical novels based on her family ancestry in Australia from the First Fleet. They include the Turning the Tide series; Mary’s Guardian, Charlotte’s Angel, Tangled Secrets and Truly Free. Two of her earlier novels, Suzannah’s Gold and Rebecca’s Dream, were re-released by EBP. Next of Kin was released in 2015 by Rhiza Press and the sequel, Beyond the Fight, was released in 2016. Most recently, with the help of Book Whispers, Carol has re-released Price of Peace, the third novel in the Oakes Family Saga which includes Suzannah’s Gold and Rebecca’s Dream. You can see more about Carol and her novels on her website, her Amazon author page or FB author page. Thanks for the comments Deirdre. The story I'm writing is going to be strictly facts but yes, it's a huge challenge to know what to put in and what to leave out. Yes, yes, yes Carol - try the comedy while it's still fresh in your mind! I've found this year a challenge with balancing a bunch of different projects, but when inspiration strikes I find it so important to run with it while I can. It's too easy for life to steal the gold and to lose the inspiration. Personally, I can see a novel set in Aussie caravan parks could be comedy gold! I'm not sure I'm up for a comedy novel yet Carolyn but I'll keep it in mind. A really entertaining and interesting read, Carol! Thank you for taking the time to reflect and to share where you are in in both your writing and life journey with us all. I had wondered from time to time whether you had persevered with that 'ghostwriting' project you had taken on--and now I know. I for one would really love to read the finished product, so I hope and pray you will all get there. Yes, we've definitely gone ahead with the ghostwriting project and it's a challenge but a real privilege. I'll let you know when it's finished. Wow! Sounds like a very interesting exploration of comedy and non-fiction, as well as revisiting previous novels. I look forward to seeing what you come up with next! I've written a women's fiction novel–a departure from YA non-fiction and YA fiction. Follow your curiosity and see where it takes you! Great stories Carol! I admire your courage for trying something new in your writing. It can be so daunting. I'm writing another non-fiction at present but trying something new: I'm going to attempt to weave real people's stories into the content. A bit scary for this new author, but I feel compelled to keep on writing. Who knows what God might do with our ideas!